A fantastic family-friendly 5* resort, Monte da Quinta is the perfect destination for relaxing getaways. With a variety of pools, entertainment, a kids’ club, spa and plenty of other facilities to enjoy, it’s family fun, guaranteed. 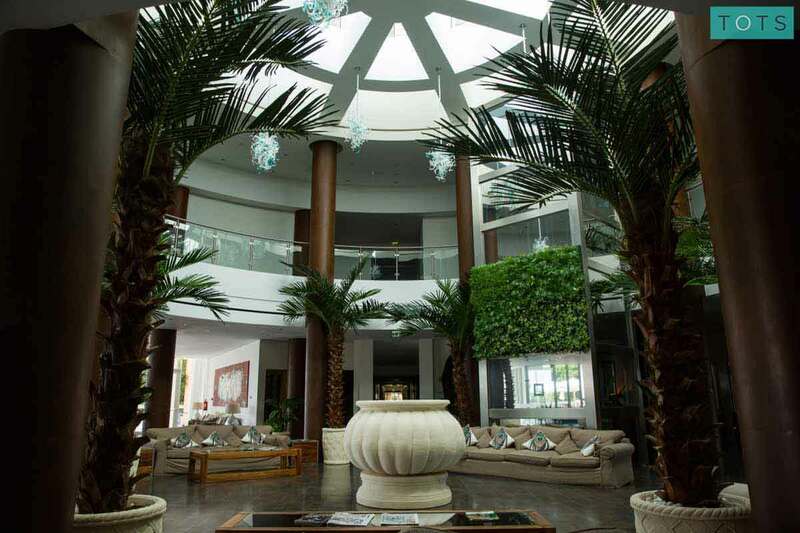 A superb hotel with great facilities and fantastic staff. Just be aware that eating out in at any of the restaurants in the whole development are pretty pricey for what you get. Hotel breakfasts, on the other hand, were included and wonderful! We had a wonderful holiday at Monte da Quinta. It was our first holiday away with our 2 young children aged 2 and 4 and it could not have been any better. The accommodation was perfect for our requirements with spacious bedrooms, 3 bathrooms and all the extras that we asked for at time of booking for example children's DVDs, cutlery, baby monitors, bath mats etc. The hotel itself was excellent, the highlight being the pool area. The staff could not have been more accommodating and the food and drink was very good, especially the buffet breakfast which set us up for the day. We'd definitely recommend the holiday and would book again. Luxurious villa/apartments with everything you needed. Pool a little cold given early May but my little boy still loved it! Food good on site and also at some nearby restaurants. Car required though u less happy with lots of walking. This is the second time we have used Tots to Travel. We had a fantastic time. The resort was excellent and we were provided with every single item we needed for my 17 month old. We literally didn't carry anything apart from her nappies, clothes and clothes. The resort was five star and was very child friendly. We would definitely recommend the resort. Our 2nd visit to this beautiful spot in Portugal. Hotel is fabulous, staff are incredibly kind & helpful. The facilities are great for both parents and kids, and the food is fantastic. Fabulous room and lovely breakfast. Pool also great and baby pool perfect for little ones. This was a lovely holiday in a great location. The resort is ideal for children with a kitchen and lounge area. Breakfast had everything you could want and the pool bar and main restaurant are very good. All the baby equipment and toys were brilliant. You can walk to the beach and to a small supermarket and to half a dozen restaurants. The main shopping area is a bit of a trek (45min walk) and whilst it is all paved and lit, it is mosaic stones so like cobbles for the pushchair. My only criticism is that the pools were both cold. It means they are clean as the water is refreshed all the time but it was too cold for babies. Luckily we took a swim jacket for our 6 month old. Tots To Travel were very helpful throughout the booking experience and in the run up to our first holiday as a family. The hotel was beautiful, good facilities, clean and well maintained. The two bed suite is spacious and reasonably well equipped. Being on the ground floor, we also had access to the garden area which allowed the wee one to run around and play safely. The location was a little more isolated than we had anticipated (although this was down to our lack of research). The beach which is beautiful was walkable but the resort (although we did walk it) was a little further than we would have liked and not particularly child friendly. Nevertheless, given that we stayed for just 6 nights we were able to find plenty to do but if staying for a longer a car is probably a good idea. Great transfer time from the airport (20 mins) yet not bothered by a stream of flights coming and going-perfect!! The only disappointment was the essential baby and toddler kit which needed more toys/books. All in all a fantastic first family holiday! Hotel was beyond our expectations. Holiday apartment turned out to be a suite in a 5 star hotel (we had not really researched the property very much other than for Spa, golf and crèche). Very child friendly with atmosphere of a nice grown-up hotel that doesn't care about the usual mess of a 20 month old toddler feeding himself cereal. They even provided some books and toys in our room. The kids loved the crèche and spa pool (nicely heated for them), mums enjoyed spa treatments and the dads had a great time at golf. Few places around in walking distance - beach 25 mins, several bistros/restaurants (15-30 mins), small supermarket (15 mins), minigolf (15 mins). Also very happy with the enquiry, booking and follow-up process that TotsToTravel provided. Thank you! We had a fantastic time in Quinta do Lago. The hotel and accommodation were absolutely perfect. It was a great time of year at the start of the season to get away with a toddler. There was plenty to do and the location was perfect for exploring further afield. Our expectations were definitely exceeded. Fantastic holiday-accommodation was great, staff were very friendly and helpful, they went above and beyond to help with the needs of 2 little children. We had THE most amazing family holiday! Accommodation was fantastic, and all the added extras of potties, monitors, plastic bowls & cutlery, toys, bed guards, high chairs...the list goes on!...made our life so much easier. The garden attached to our suite was perfect for the children to safely play in; well within ear/eye shot. The staff were wonderfully friendly & helpful & the food was incredible - so much choice even for 'picky little eaters' like my 18 month & 3 yr old! The (inside) pool was lovely and warm, and the children's play area was enough to keep them entertained in the mornings. There was a local shop, wonderful local restaurants (KoKo Café - a 10 minute walk away - has a fabulous play area attached to it so you can eat/drink whilst the little one's have a wonderful time to themselves), and all the beaches were clean and safe. All in all we would highly recommend this hotel/holiday, and most certainly return. We came back after last year and absolutely loved it! We will be back again next year. We had a great time in Portugal. The Hotel staff were great with the kids and the setup is good for families. Rooms nice and big and the good was also good. Breakfast is particularly good. Lovely relaxing holiday. 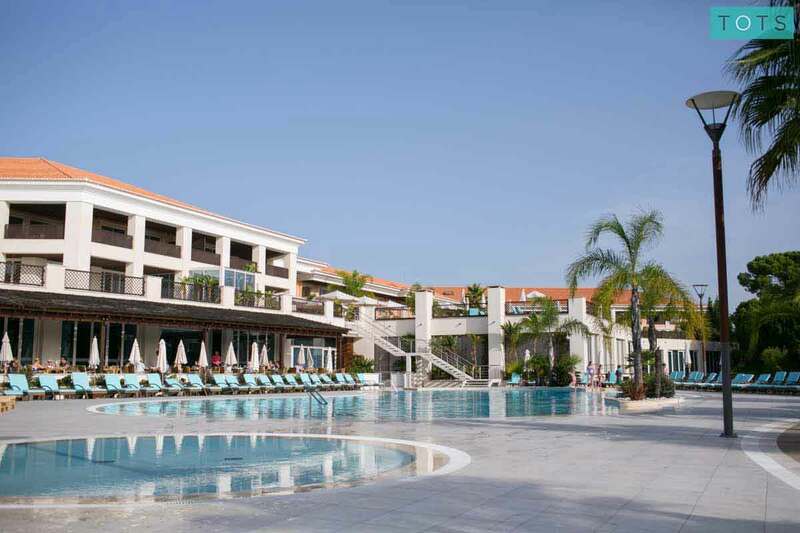 Great sized suites and good facilities including spa, kids club and pools. Accommodation was beautiful. Staff were lovely too. There could have been more indoor activities for the very little ones though. This is the second time we have used tots to travel. We had a fantastic time. The resort was excellent and we were provided with every single item we needed for my 17 month old. We literally didn't carry anything apart from her nappies, clothes and clothes. The resort was five star and was very children friendly. We would definitely recommend the resort. We loved it! The suite was just right for us and our two boys. They loved the swimming pools and the artificial beach, and the playground on site. The staff in the restaurants were also very understanding with our very active toddler. A really great family holiday with our 1 year old and 2 year old boys. We picked this hotel as it had child minding facilities you could drop them into the crèche during the day or book a babysitter to your suite so we could have a romantic meal out in one of the many great local restaurants. The best thing about our hol though was meeting other families also travelling with Tots to Travel which was nice for us and the kids! Also the sunrise suite was a great size for the 4 of us. Plenty of space and very clean. The food in the hotel was also top notch and the pool area was relaxed not overcrowded. We would definitely return. The hotel was luxurious - our suite was huge with a balcony spanning the length of the suite. The staff were extremely accommodating and spoke great English. They made everything really easy for us which was great for our toddler. We didn't hire a car and there is a shop nearby and the beach is around 25 minutes walk but if we were to go back we would get a car as we had to get taxis to the zoomarine park. Great place to go with a toddler! The pools were good although a little cold a couple of days. Breakfast was so varied we ate something different every day. The only thing I could fault was they didn't have a bed guard so we had to put pillows round the side. Also the first floor balcony was easily climbed by our toddler so keep an eye on them! Otherwise a superb experience! Fantastic holiday. Really lovely hotel worthy of its 5* rating. Tots To Travel have been fantastic. I have just returned from a 10 night stay at the Sunrise Suite with my husband and 3 year old son and we had a fantastic holiday. Everything we could of ever asked for was there. The staff are incredibly friendly and great with children. The facilities are second to none and we wanted for nothing. What came in really handy was the black out curtains and the nets to stop insects in the room. All the food we ate onsite was lovely and even enjoyed by my son due to their children's menu. The breakfast which was included was the best I have ever had at a hotel. We shall be returning again! 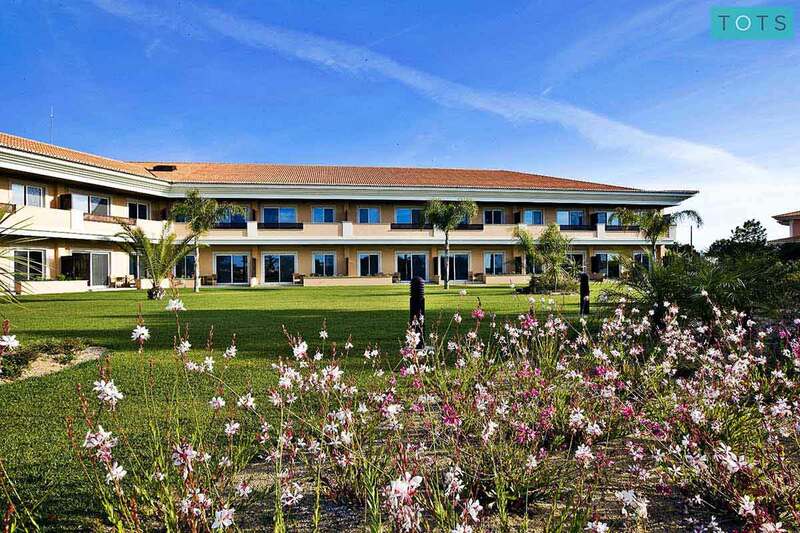 Monte da Quinta was an ideal hotel for a vacation with a toddler. The suite was enormous. The bedrooms were separated so we all slept soundly. Generous, tasty breakfast buffet and a heated indoor pool. Our daughter also enjoyed exploring the garden terrace, accessed from our room. We only used the daycare once, but our daughter really enjoyed it. Suites are perfect - spotless with great space and sizeable bathrooms and good kitchen facilities. Hotel itself is also beautiful with friendly accommodating staff. The whole resort area is pristine and beautifully landscaped, easy to navigate with options to distract little ones . Entertaining your little ones at Monte da Quinta is a piece of cake. Offering a variety of family fun facilities including a playground, toddler pool, kids’ club and crèche, movie club, children’s activities and more, the only difficulty your kids will face is trying to decide what to do next! The Hakuna Matata Kids’ Club is suitable for children aged 4-12 years and offers fun activities run by professional childcare experts. 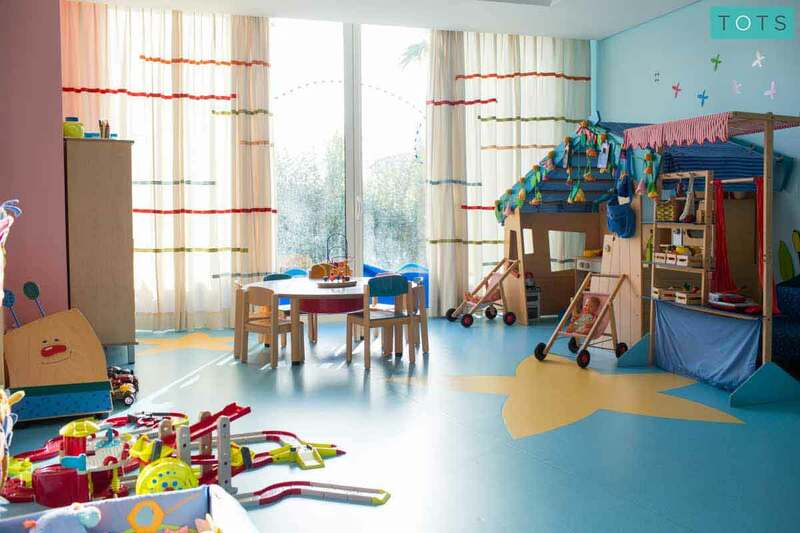 Suitable for children aged 6-36 months, The Quinta Crèche offers a safe and creative atmosphere for tiny tots to enjoy. The resort runs a range of fun-packed daily activities with no age limit during the peak season and offers a special Movie Club showing favourite children’s films. Let your little ones run off some steam by exploring the resort’s tot-friendly outdoor playground. TOTS provide an exclusive Essential Kit for use during your stay, containing 20+ key baby and toddler items that you won’t have to pack. The toddler pool is based next to the main pool and has shallow water that’s ideal for little splashers. 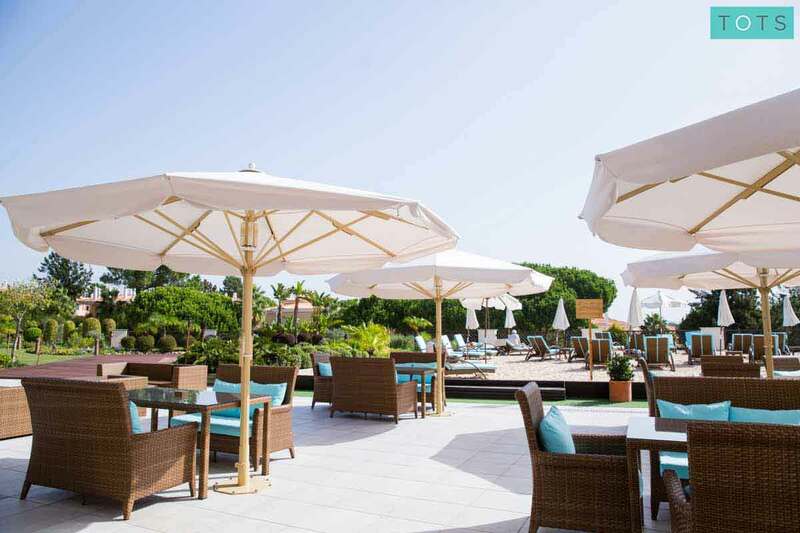 Monte da Quinta offers everything from super-chilled pool snacks to gourmet dishes cooked by the resort’s own Michelin-starred chef. Add to that the family-friendly dining options, plus the daily delicious fresh buffet breakfast included in the price of your stay and it really is family holiday dining, made simple. The extensive breakfast buffet offers everything from fruits to pancakes and even better, it’s included in the price of your stay. 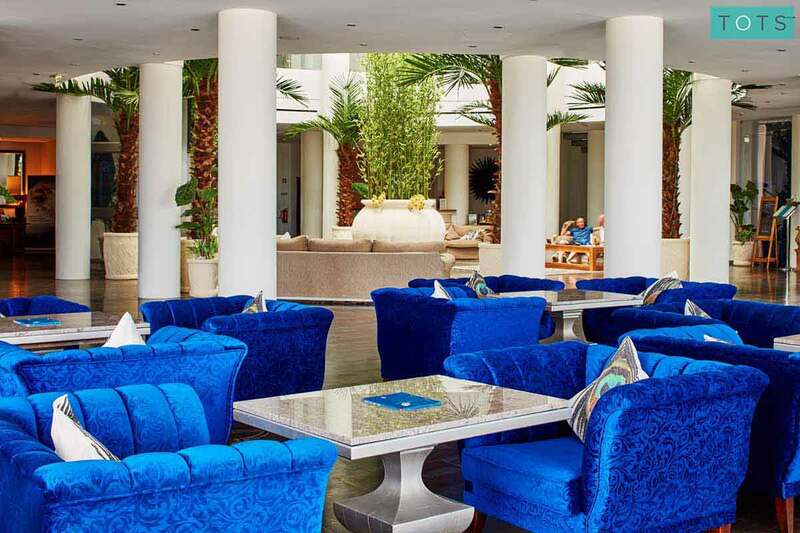 Serves an opulent menu of delicious dishes cooked using fresh ingredients by Michelin-starred chef Roeland Klein, also offers a children’s menu. Opens at 7pm. 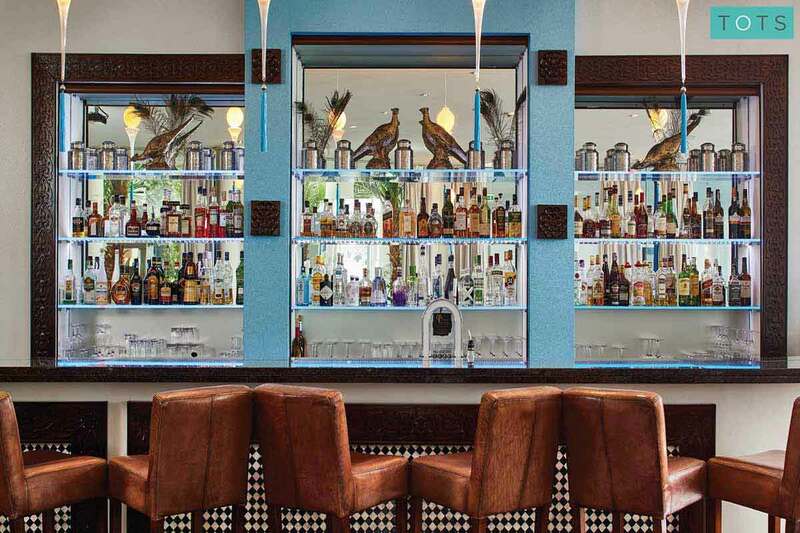 For scrummy nibbles, handcrafted cocktails, breathtaking sunsets and live music, this luxurious bar is a must-visit. Ideal for lunches and dining during the day, the Pool Grill serves simple snacks such as burgers and salads, plus it has its own children’s menu. Whether you’re after a restful morning of unwinding in the spa, an active afternoon at the gym, or a chance to get involved in some resort sports, Monte da Quinta has got it all. If you need a break from the sun, you could also head to the resort’s own Games Room. The spa offers a range of relaxing massages and treatments, a sauna, steam room and Jacuzzi, plus there’s a huge heated indoor pool. Visit the reception to hire bikes for your family, so you can get out and about and explore the amazing Algarve. Visit the fully-equipped gym, packed with high quality equipment, or book a session with one of the qualified personal trainers. Ideal for golf enthusiasts, Monte da Quinta is surrounded by a variety of fabulous courses which cater for all levels of golfing ability. Filled with plenty to entertain kids and adults alike, the Games Room has consoles, computers, arcade games, pinball, a billiard table and more. 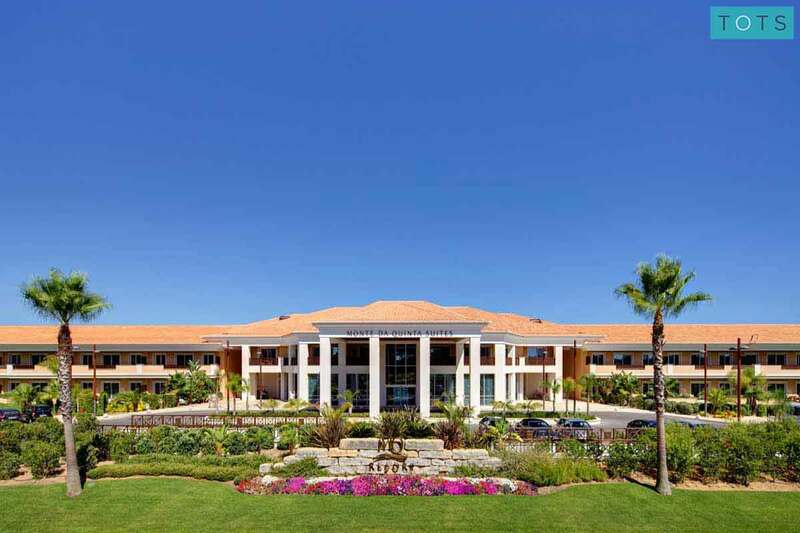 Combining the best of both worlds, the accommodation at Monte da Quinta offers the flexibility of a self-catering apartment plus the added benefits of staying at a luxury resort. These rooms have all been hand-selected by us based on their family friendly qualities and have been perfected with the addition of our unique Essential Kit. In easy reach of sandy beaches, family attractions and plenty of nearby restaurants and shops, Monte da Quinta is ideally situated. 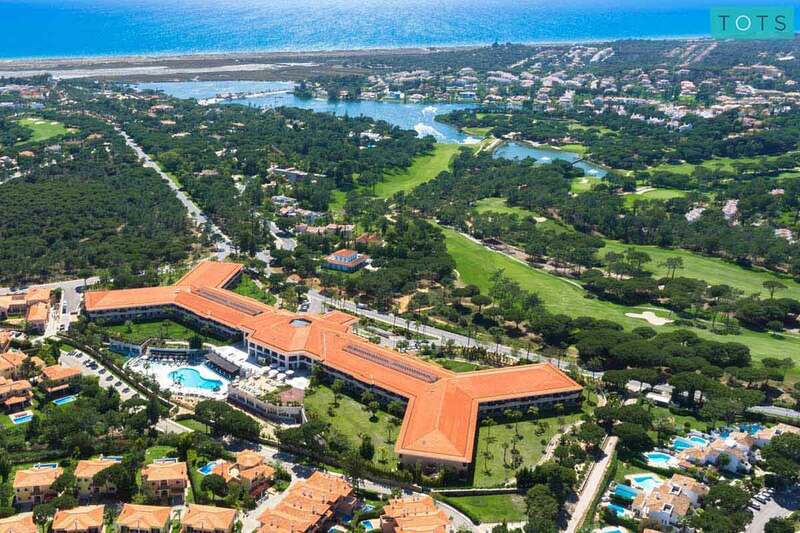 It’s also only a 25 minute walk to Quinta do Lago which has it’s own watersports lake, beach and restaurants.